As co-chair of the Wine Media Guild I look forward to this event every year. At this event the WMG www.winemediaguild.com pays tribute to those wine writers who have made a great contribution with their writing to the world of wine. The inductees into the Wine Media Guild Hall of Fame were Gerald D. Boyd, Steven Spurrier and Tom Stevenson. We also give scholarships to students at New York City College of Technology and Fairleigh Dickenson University for wine study. Wine Media Guild Scholarship awards for this year went to Stjepan Lukic of City Tech and Erin Rouderbush of FDU. Another reason I look forward to the event is because it is BYOB. Each person attending brings at least one bottle of wine. Because of the love of good wine by the members of the WMG and their invited guests, everyone wants to bring a wine that everyone else will want to taste. What makes it even more exciting is that members and guests are only too happy to share their wines with people at other tables. One of the members gave me a 1986 Chateau Figeac to taste and when another member saw this he brought over a 1949 of the same wine for me to taste! The dinner was held at the Four Seasons restaurant in NYC. 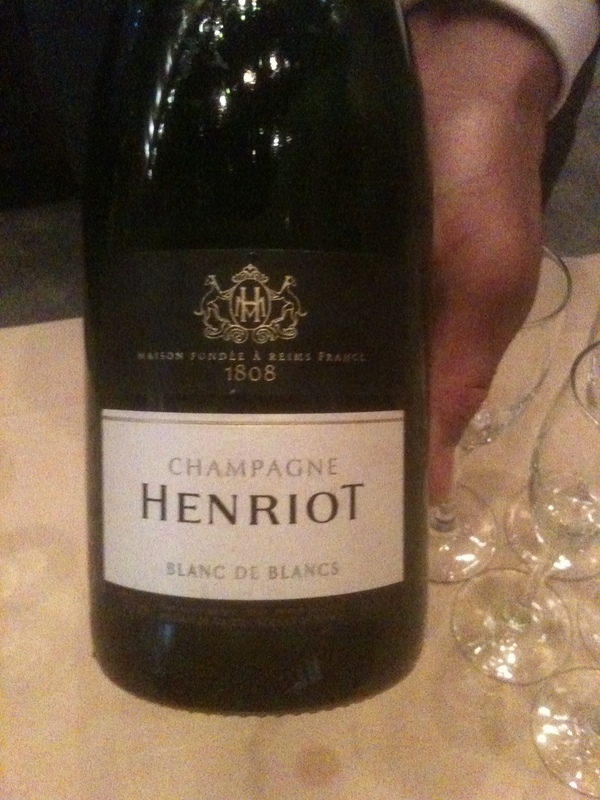 The reception was in the Grill Room and Henriot Blanc de Blancs NV Champagne 100% Chardonnay was served with a selection of hors d’oeuvres. 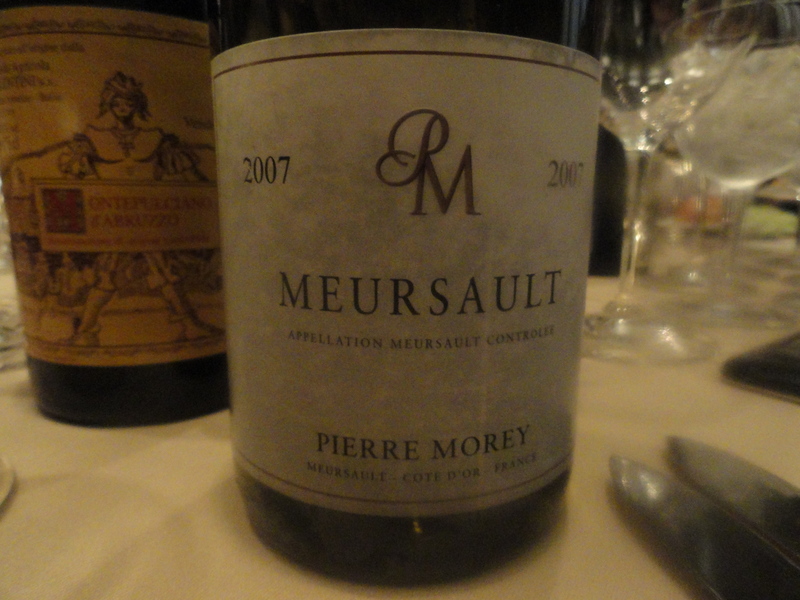 The first wine poured was a white wine Meursault 2007 100% Chardonnay from Pierre Morey. It was very rich and full bodied with hints of tropical fruit. The rest of the wines were all red. The grapes are handpicked and sorted in the field and again on sorting tables in the winery. Cold fermentation is 2 to 5 days depending on the quality of the harvest. Fermentation takes place for 12-15 days depending on the year. Only natural yeasts are used. Temperature controlled mainly by remontage (crushing and pumping over) and piping. Devatted and aged in Allier oak casks for 14 to 20 months depending on the year and appellation. 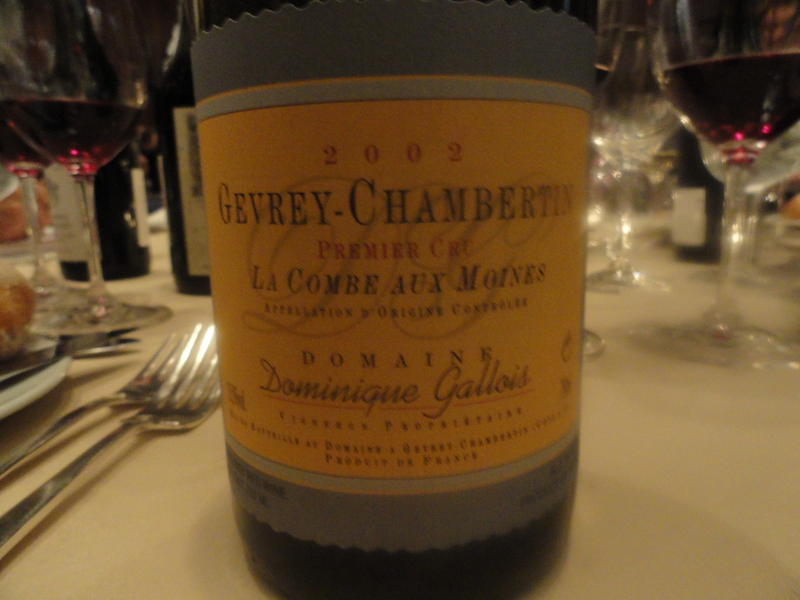 This was a very good red to start with because it had typical Burgundy aromas and flavors. This Grand Cru comes from18 acres of the very best slopes in the village of Saint Denis. The brown chalky soils contain a high proportion of clay particles, chalk for finesse and balance, small stones to help drainage and large flat rocks that heat up during the day and maintain a stable temperature at night. Low yield, old vines are harvested by hand and vinified in 6 separate lots. 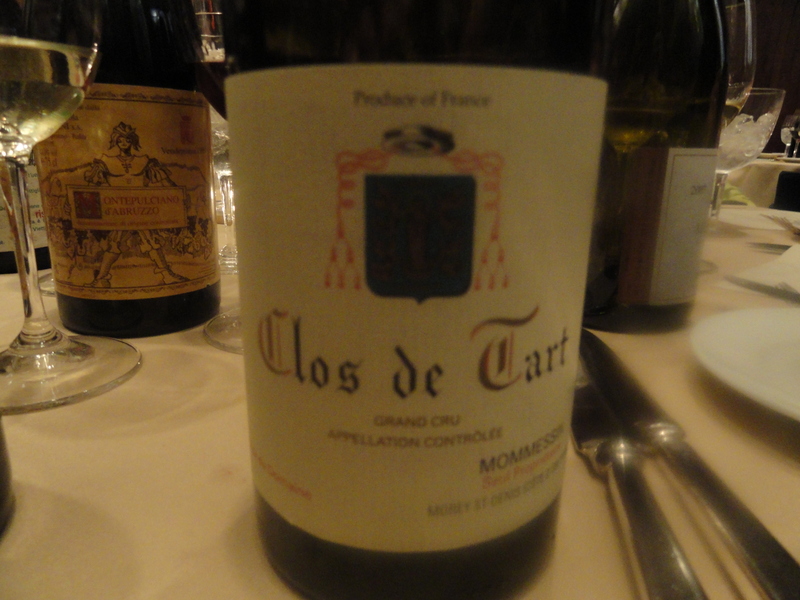 The wine is aged in new French Oak for 17 months. I did not taste the oak at all! There is a mineral egg white fining and no filtering before the wine is bottled. This was a wine with a lot of character, with strawberry and raspberry aromas and flavors and a hint of spice. It really developed in the glass. It is a wine that can be drunk now but I think it will be better with more age. Monprivato vineyard is in the village of Castiglione Falletto. The harvest for the 1993 was most likely in the beginning of November. They use the traditional floating cap fermentation for 25 days. The wine is matured in medium Slovenian oak barrels for about 45 months. The wine is bottled six years after the vintage. In my opinion 1993 was an underrated year for Barolo. Most of the wines from this vintage are dinking very well right now and should last for a few more years. This is a complex, elegant wine with classic Barolo aromas and flavors: Faded rose, leather, tea, mature fruit and a hint of white truffles. This is a dark full bodied wine, with deep aromas of black and red fruit, cherry and a hint of spice. I would have never guessed that it was 18 years old. This wine has many years ahead of it. 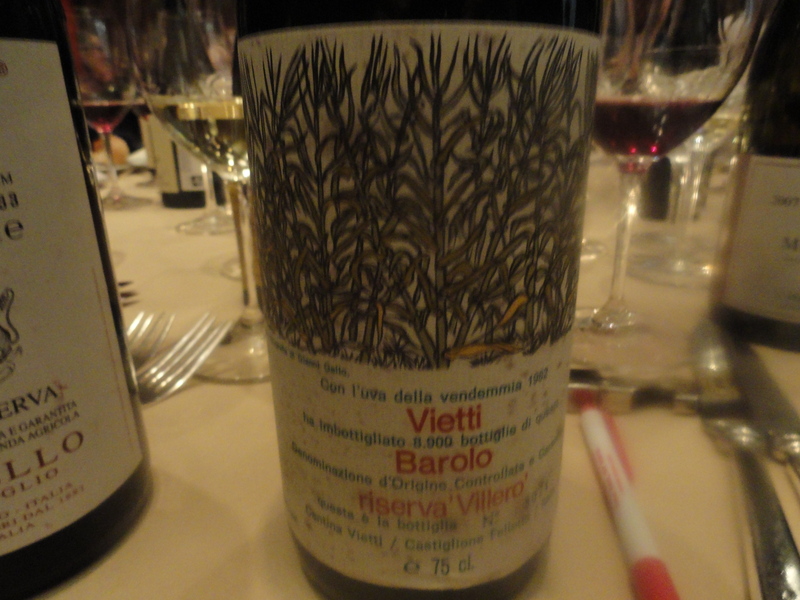 1982 was an excellent vintage in Barolo. It took some time for this wine to open up but once it did it had all the characteristics of a great Barolo from an excellent vintage. The wine went very well with the food. 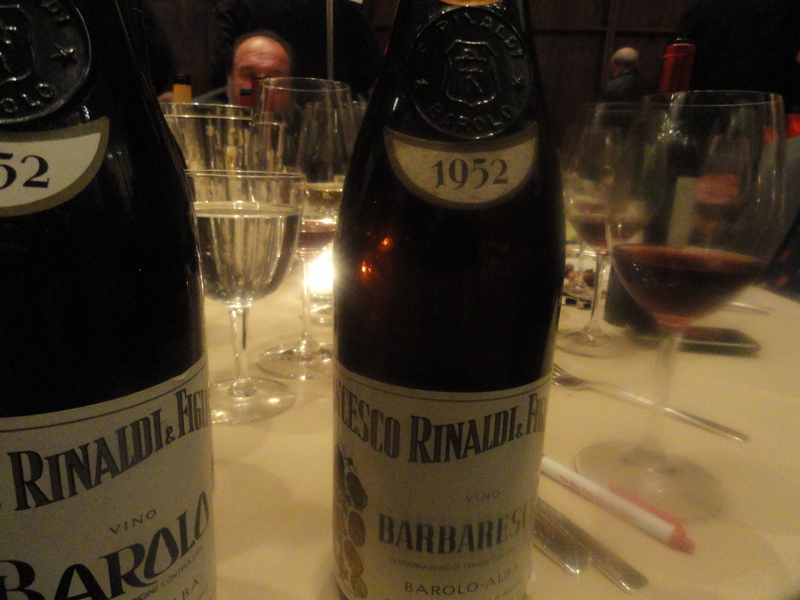 In my opinion 1952 was a very good vintage for Barolo and Barbaresco. 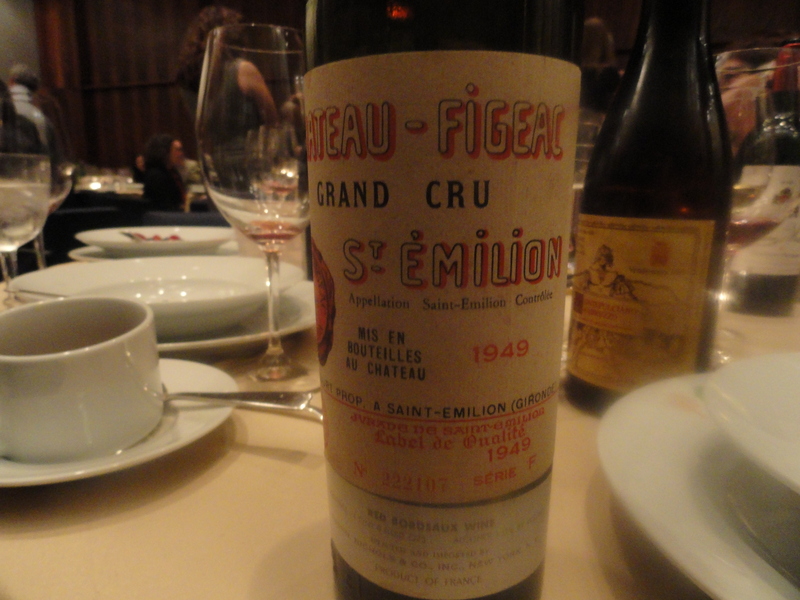 When wines are almost 60 years old, they have to show some signs of age. Both of these wines were still drinking very well. They use a completely different proportion of grape varieties than anyone else in Saint-Emilion because of the fine gravelly soil. The wine is made from 35% Cabernet Sauvignon, 35% Cabernet Franc and only 30% Merlot. Someone at the table said that it was the most Medoc of the Saint-Emilions. This is a great wine and one could only call it youthful. 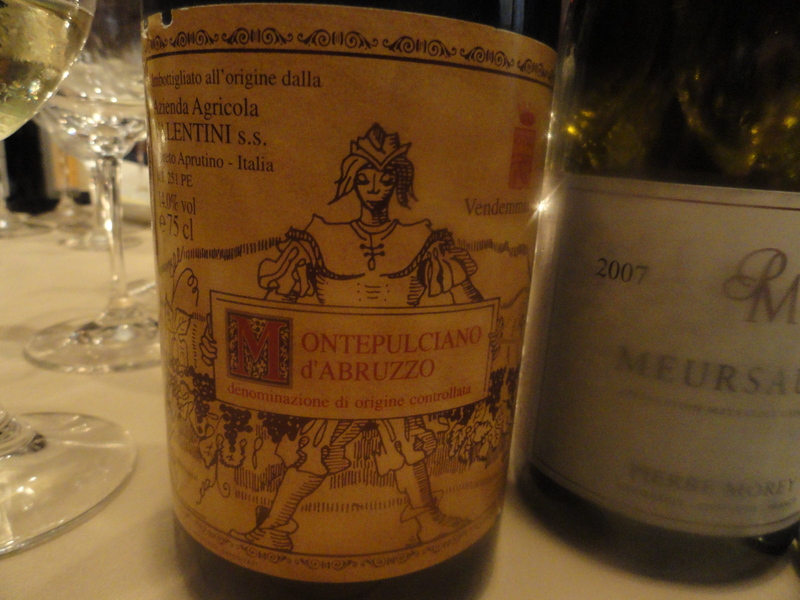 It was one of the most balanced wines I have ever tasted. It has aromas of deep red fruit and mature Cabernet Sauvignon with a great finish and aftertaste. The 1986 was showing very well but the 1947 seemed younger. After fermentation, maceration is for 2/4 weeks and the wine is aged in Bordeaux type barrels of Nevers oak for 12/15months. At the end of the second year blending takes place with the proportions of Cabernet Sauvignon, Carignan and Cinsault varying with each vintage, the only deciding factor being taste. It is blended in the third year before being bottled and is aged in the cellar for 3/4 years. The wine is released after seven years. The grapes are grown in gravely soil with a limestone base in the Bekaa Valley. The grapes are handpicked. The wine is not fined or filtered and there are no chemical additives with the exception of the minimum dose of sulfur. 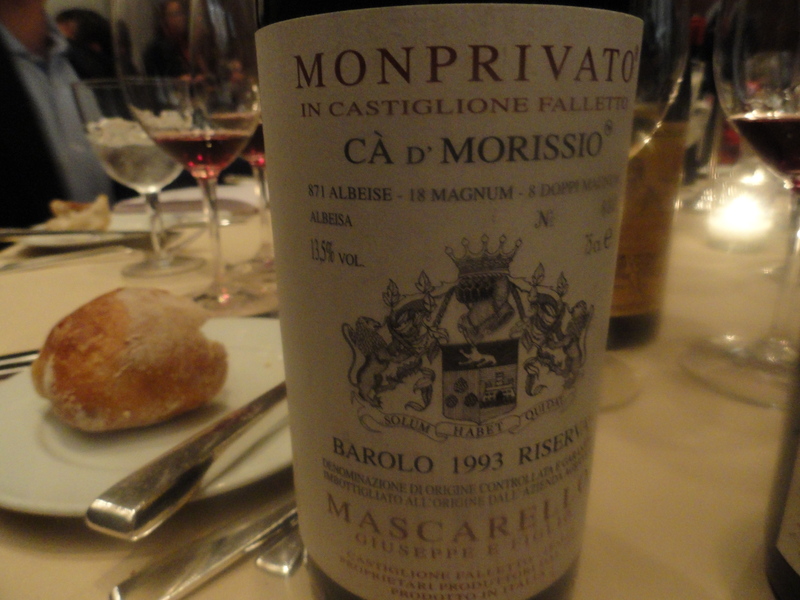 In April I had the 1998 which was drinking very well with nice red fruit, leather and a hint of spice. The 1988 was very well balanced with mature red fruit, and red fruit and leather in the long finish and aftertaste.